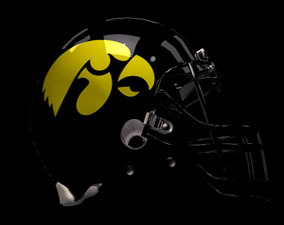 Alright, I’m not just saying this because I’m a die hard Iowa fan. I’m saying it because it is true. Iowa football has done a 360 in 3 years and turned out to be a great, diverse team. Granted, Iowa has never been a horrible team. Well…let’s just say they weren’t after Hayden Fry was finished with them. They also have one of the classiest coaches in college football: Kirk Ferentz. You will never see a game where Iowa scores more than 60 points; not because they can’t, but because Ferentz is just that classy. He doesn’t want to outscore the losing team that badly (if, of course, they were the losing team). Another one of my heroes is Shonn Greene. He was Iowa’s running back 2 years ago and ran over 100 yards every game. The only mistake he ever made was going pro his junior year. He should have stayed his senior year then his draft stock would have gone up and he could have had a shot at a Heisman. Iowa had a legendary season last year. They came back and won all but 2 of their games in an emotional rollercoaster of a finish. No one will forget the games against Indiana, Penn State, Michigan State or Ohio State…especially Ohio State. We did lose that game but in OVERTIME at Ohio State with a BACKUP QB. Yes, you read that right. After that, how do they not get the respect they deserve? They are almost the underdogs and with their annihilation of Georgia Tech in the Orange Bowl last year, they still don’t have respect. With giant players like Adrian Clayborne, Christian Ballard and Karl Klug, they have one of the nation’s top ranked defenses. And, with Ricky Stanzi playing like a pro this year, their offense ain’t too bad either. C’mon, Lee Corso and Kirt Herbstreit, let’s show Iowa respect. Tags: Adrian Clayborne, Christian Ballard, Football, Georgia Tech, Hawkeyes, Hayden Fry, Heisman, Heisman trophy, Indiana, Iowa Football, Iowa Hawkeyes, Karl Klug, Kirk Ferentz, Kirt Herbstreit, Lee Corso, Michigan State, Ohio State, Orange Bowl, Penn State, Ricky Sanzi, Shonn Greene. Bookmark the permalink.